If 2016 was the year of the heavyweights, 2017 was when they fell. In their place, we saw young, innovative, diverse upstarts all crafting complex and intriguing stories. Stories of race, gender, sexuality, politics and love. Unlike 2016, where albums burst out of the speakers with bombast and energy, this year's top records are more like microcosms; they explore the ordinary and the extraordinary of humanity. Here are some of our favorites. At the back end of our favorite albums lie some big names. 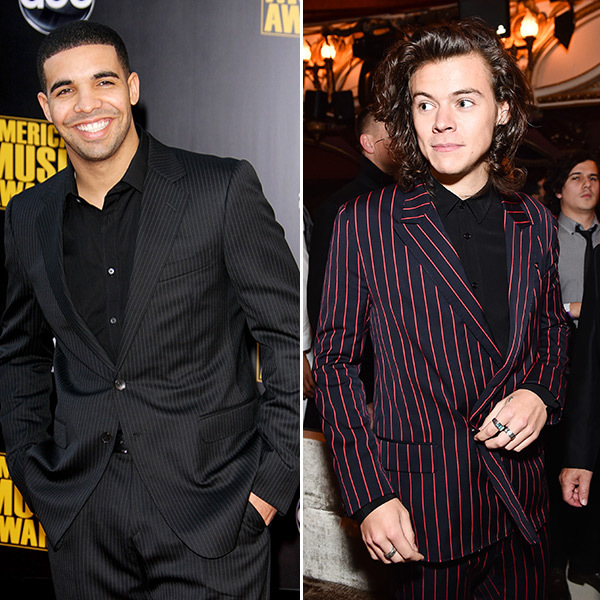 Harry Styles, Drake and Miguel all made some stylish records. Styles echoed 70s rock, with hints of Americana and Britpop. Drake further explored his foray into tropical pop with his smooth dancehall hits. Miguel made his late release a pretty exceptional statement of intent, with baby steps into politics. Father John Misty and Hippo Campus also created solid indie pieces of subtle brilliance which only further engaged their strong fanbases. Just missing out on the top 10 are a whole host of alternative stars. St Vincent's magnificent MASSEDUCTION was an explosive collage of sexuality and femininity. In his third album, HOMESHAKE continues to polish his synthy electronic R&B meets yacht rock sound. The tracks melt into one another with striking yet mellow intimacy. Everybody’s favorite virtual band Gorillaz returns after a five-year hiatus with the collab-studded Humanz. The record features covers a broad range of styles with an overarching dark yet playfully punchy vibe. Finally, Perfume Genius continued his streak of fiery pop with his stunning record No Shape. As you move through Take Me Apart by Kelela, you’re reminded of her hard work to make this debut. It’s a record that bubbles with an overwhelming intensity and releases its darkest demons in subtle explosions of ferocious lyrics and razor-sharp musicality. Kelela made a record for the modern woman, with all of her flaws. It’s one that has set her up for an incredible career. The second of three records in one year, Brockhampton established themselves with a record dripping with swagger, energy and aggression. It's a refreshing record that serves as a quiet revolution of subversion, anger and attention grabbing hip-hop. Ever since Vince Staples' breakout album, Summertime ’06, the rapper has become more and more idiosyncratic, making bold stylistic choices that consistently elevate his work above the rest of the mainstream rap landscape. On Big Fish Theory, Staples continues to dodge expectations and formulae, choosing to invigorate his nimble rhyming with doses of avant-garde electronica and Detroit techno. The album's beats are as strange as they are infectious, giving the record a sense of unease that underscores Staples' nihilistic musings on fame and society. And while it's anyone's guess where the ambitious rapper's artistic impulses will take him next, if his risks continue to pay off as magnificently as they do on Big Fish Theory, I'd bet we aren't going to be disappointed any time soon. On album opener "Real Death," singer-songwriter Phil Elverum, the man behind the indie folk project Mount Eerie, proclaims that death is “not for singing about, not for making into art.” And yet, here we have A Crow Looked at Me, an album almost entirely about death, specifically, the death of Elverum’s wife, who passed away less than a year before the record's release. It is an album marked by its commitment to unflinching honesty and its dedication to the uncomfortable realities of pain. Instead of reducing his mourning into something easily digestible for listeners, Elverum presents grief as a multifaceted phenomenon, a plurality of sometimes contradictory feelings. On "My Chasm," for instance, he meditates upon the social alienation that loss can produce - "I now wield the power to transform a grocery store aisle into a canyon of pity and confusion, and mutual aching to leave" - while on "Toothbrush / Trash," Elverum expresses the fear that pictures are beginning to replace the memory of his living wife. Sure, death might not be for singing about, but singing about it can certainly help. And while it feels strange to celebrate an album born from such tragedy, it would feel just plain wrong to ignore what a remarkable achievement it is. SZA has the most disarming presence. On her enthralling debut CTRL, she picks at the scabs on her body, her mind, and her past. It comes to blows on her most introspective tracks: “Supermodel” and “Drew Barrymore” which both see SZA at her most insecure but her most fiery. This record is reminiscent of Frank Ocean’s Channel Orange, but with a little more heart and a little more pain. She walks you through her disappointments with explicit melancholic rap/sung lines that always seem to overflow with catharsis, as if the young upstart has too much to say and not enough time. With Grammy nominations and critical acclaim swirling round this exceptional talent, SZA is a woman on a mission, and she's winning. “I TRIED TO COME OUT THE DAMN CLOSET LIKE FOUR DAYS AGO AND NO ONE CARED HAHAHHAHAHA,” Tyler tweeted, on April 12, 2015. But no one believed him, not until this year’s Scum F*ck Flower Boy came out. Flower Boy is the most “Tyler” Tyler could get. It plays with sounds; it is more gentle and honest than other albums like Cherry Bomb or Wolf. 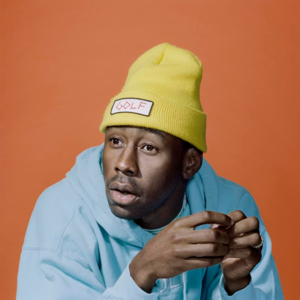 It is reminiscent of Tyler’s Odd Future persona in songs like “I Ain’t Got Time!” and “Who Dat Boy,” but it gets more sentimental in songs like “911/Mr. Lonely” and “November.” Flower Boy gives Tyler maturity, and it finally made people take him seriously. It is his coming out album, and as a gay, Black rapper, it’s a bold thing to do. It gives everyone something, with harder songs that hint at rage but a sweetness in the nod toward memories of love and self-discovery. Flower Boy hits home: for 2017, Flower Boy is November, and that November is right now. An album of intense honesty, Sampha presents himself as a prophet, delivering a message that’s often hard to take but stunning to observe. He weaves a narrative that is both powerful and cathartic, often referring to the heartbreaking passing of his mother. At the same time he produces stunning songs of love, insecurity and struggle. Much like Frank Ocean, Sampha makes sad boy music sound accessible and most importantly - beautiful. Crack-Up, the Fleet Foxes' first album in over six years, is named after a collection of essays written by F. Scott Fitzgerald during a low period in the author's life. The intensely personal essays are sober and poetic, with Fitzgerald's words exuding a sense of loss and exhaustion. Upon hearing the guttural, almost atonal vocals that open Crack-Up, one could be forgiven for fearing that this album would fall into the same sort of wallowing that sometimes characterizes its namesake. 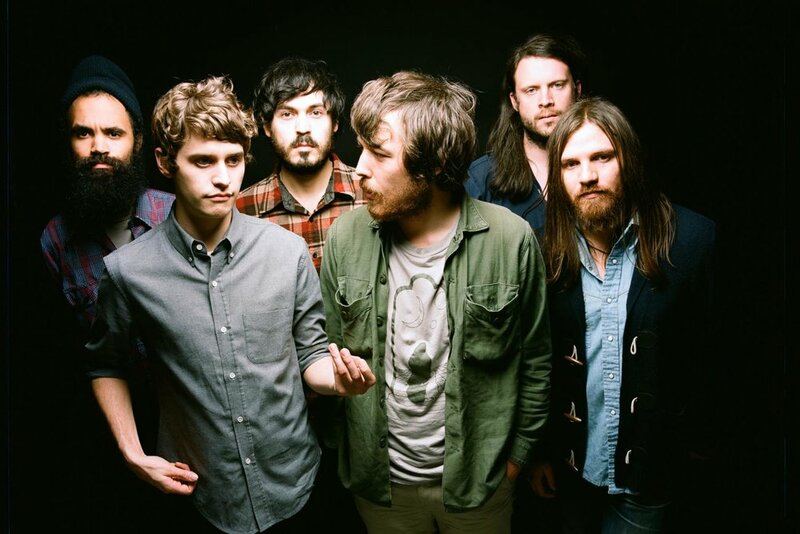 But when the guitars, drums and strings enter the track a minute in, followed closely by a set of classic Fleet Foxes harmonies, that notion is quickly dismissed. This album does not wallow, quite the opposite; it challenges and rewards. In fact, Crack-Up is the Fleet Foxes' most ambitious album yet, possessing a newfound musical complexity that the band often hinted at on previous records without fully exploring. The arrangements reveal gorgeous instrumental textures, the compositions take unexpected turns, and the songwriting is beautifully opaque. Though certainly a more intimidating listen than the band's previous two albums, and perhaps not as immediately accessible, Crack-Up will nonetheless reward the patient listener, getting better with every listen. Lorde is no one hit wonder. While her new singles have stalled in the safe top-40 indie-pop position, her album was a feast for the eyes and ears of critics and fans across the globe. From her punchy first single “Green Light” to the darker, mystical “Homemade Dynamite” - Lorde gave birth to cinematic snippets of youth. All of her artistry makes for an album that provides the world with what it’s been truly waiting for, not a top-10 magnet, but a superstar musician in-waiting. Kendrick Lamar has been on a winning streak. Every one of his releases since Good Kid, M.A.A.D. City has been almost universally revered by fans and critics alike, with Lamar himself being repeatedly touted as the greatest rapper alive. 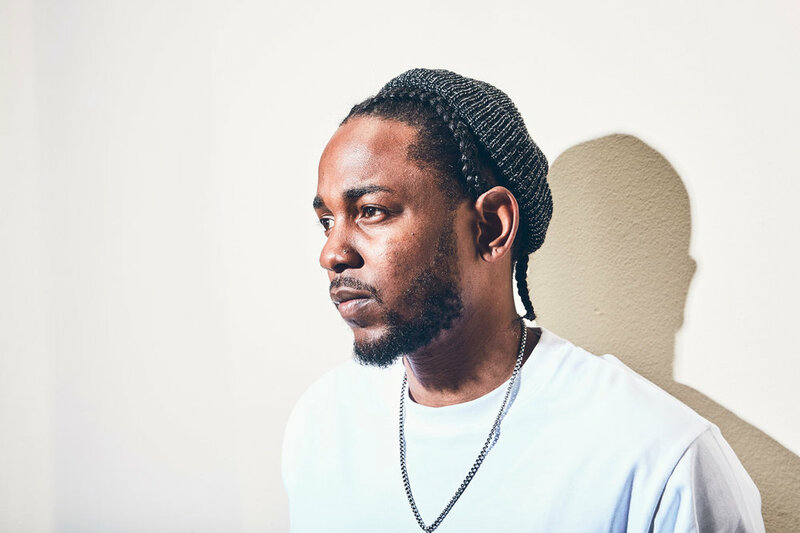 The expectations that accompany such glowing accolades are not easy to live up to, and yet, with each new studio album, Lamar manages to do just that, employing his lyrical prowess and intellectual voracity to astonishing ends. DAMN., a 14-song meditation on the emotions that drive us, and the contradictions that tear us apart, is no different. On his fourth studio album, Lamar combines the approachability of Good Kid, M.A.A.D. City, with the intellectual rigor of To Pimp a Butterfly, producing a record that is as fun as it is thoughtful. "HUMBLE.," for instance, smuggled Lamar's dense lyricism into the top spot of the Billboard Hot 100, thanks to a swaggering beat from Mike-WiLL Made-It. Meanwhile, on "ELEMENT.," Kendrick fuses catchy, braggadocious rhymes with sober reflections on the painful circumstances from which he rose to success. While the expectations for DAMN. could not have been higher prior to the record's release, the album somehow achieved the impossible; it satisfied almost everyone with whom it came in contact. Now let's just hope the winning streak continues.